Names for Cities, People, Inns, Landmarks, and More. I do stuff, so you can do more. Mithril & Mages is a playground -- one with awesome toys. I write utilities -- things that allow others to be awesome. I call them inspiration generators. So many people get stuck on an idea and need a name, a pile of treasure or a monster to move them forward. This is my attempt to make that happen. Random results are not an end-point. They are the end of a pier -- a place where you can untie from the dock and begin a journey. No matter if you are after a name or a pile of treasure, many unanswered questions remain. Who is this person? What befell the creature who left this treasure or are they still alive? Why does this set of monsters still retain control of this land? Random name generators for a variety of needs. Random bank names from the United States. Random business names from the United States. Random city names from over 100 countries. Random hotel, motel, and bed & breakfast names from the modern era. Generate thousands of fantasy style inn and tavern names. Generate random names for people from the medieval and rennaissance eras. Need a character name from the Modern Age? This is the place. A collection of names for naturally occuring geographic features. Random names for characters from the Old West (1860-1890). Generate random names from over two dozen categories of man-made geographic features. Random names for bars, restaurants, and other food establishments from the U.S.
Random names for sea-faring vessels from the early 1900's until today. Street and road name generation. Gygax inspired anagrams for names. Prefer to browse LISTS of names? Utilities for the creation of treasure, spell books, scrolls and NPC's. Generate NPC's and Adventure Ideas. Multiple generators covering a diverse range of information. A variety of tools that can be applied to any role playing game. My variant of the classic dice roller for roleplaying games. An automated approach to the Random, Esoteric Creature Generator from Goodman Games. Random non-player characters for the ROTWORLD system. Random Utilities using Modern Datasets. Random or by category generation of business types for the modern era. Generate a random block of business, residences, and industrial sites. Generate a random college major or advanced degree. What crimes the antagonist or protagonist committed? What job does the NPC hold? Generate random occupations for the modern age. A random selection of wounds, diseases and other afflictions. 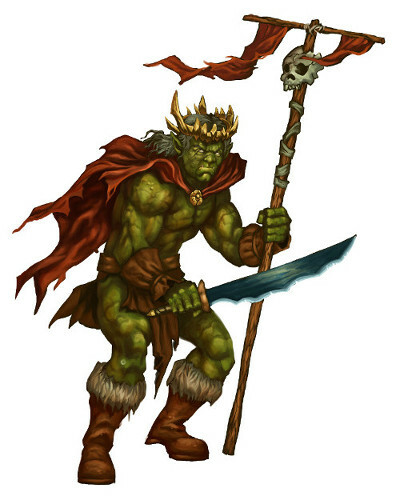 Image Credits: Flesh Golem by Matt Bulahao; Ork King by Eric Quigley. Licensed as stockart via Inkwell Ideas.